The launch of a new vistors’ route at the site of PCMA excavations in Alexandria drew over a hundred onlookers. 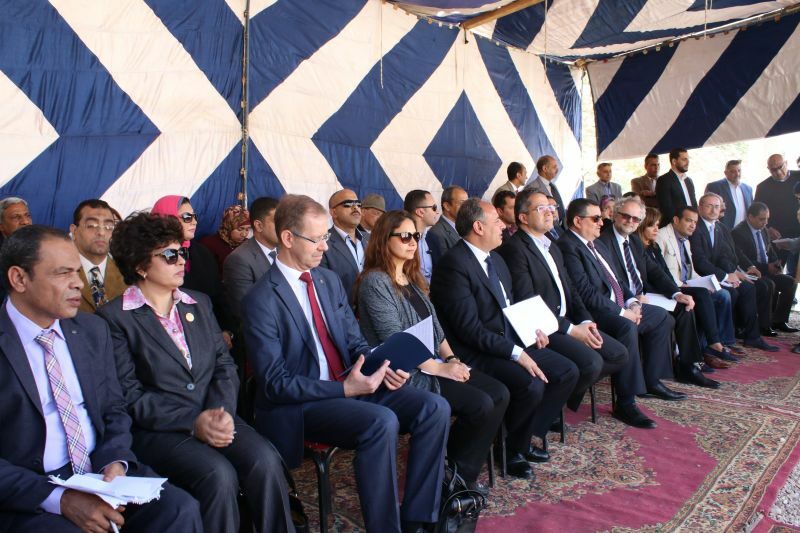 The ribbon-cutting ceremony was performed by the Egyptian Minister of Antiquities Dr. Khaled El-Anany, the Governor of Alexandria, Mr. Muhammad Sultan, and Rector of the University of Warsaw, Prof. Marcin Pałys. As the director of the PCMA, Prof. Tomasz Waliszewski, put it in his opening speech – ‘Kom el-Dikka is for Alexandria, what Forum Romanum is for Rome: a window into the city’s past’. Polish involvement in the research on the ancient city was praised by the Ambassador of Poland, Michał Murkociński, who also drew attention to two anniversaries taking place this year – of 80 years of Polish archaeological work in Egypt, and of 90 years of Polish–Egyptian diplomatic relations. All events related to the opening were coordinated by the PCMA Research Station in Cairo, directed by Dr. Artur Obłuski. But the hero of the day was undoubtedly the Archaeological and Conservation Mission in Alexandria. ‘A day like this, brings great satisfaction – to see the results of long-years’ work take such shape’ – said Dr. Grzegorz Majcherek, the mission director. Over 200 Polish specialists and students – archaeologists, architects, conservators, anthropologists, numismatists, art historians and draughtsmen – participated in the project in the course of the over 50 years of archaeological and restoration work at the Kom el-Dikka site.